Belvie Chocolate is a Vietnamese brand of chocolate bars. Its motto: a quality production that highlights the different cocoa producing regions in Viet Nam. 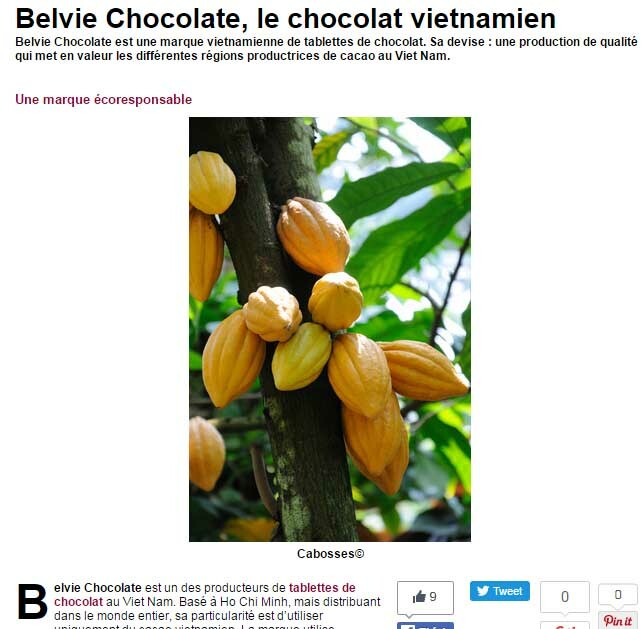 Belvie Chocolate is one of the producers of chocolate bars in Viet Nam. Based in Ho Chi Minh, but distributing all over the world, its peculiarity is to use only Vietnamese cocoa. The brand uses Belgian expertise in chocolate but offers chocolates with unique tastes. These are obtained in particular by monitoring the production “from the bean to the tablet” but also by the selection of the regions of provenance of the beans which, very different, give these tastes so particular. Beyond the creation of a remarkable chocolate, Belvie Chocolate is also committed to sustainable development, implied by preserving Vietnamese cocoa. For this Belvie Chocolate will campaign with the farmers by sensitizing them and offering them advantageous prices. A taste for each region Chocolate makes beans from the province of Tien Giang is strong in flavors. A taste that is both fruity, creamy but also robust, linked to the topology of the Tien Giang where plains meet, the river Mekong and a climate of monsoons. The chocolate from the Dong Nai area is lighter and awakens touches of lemons on the taste buds with each bite. Belvie Chocolate also offers two other types of tablets, from Lam Dong and Ben Tre. These four chocolates may be all produced from Vietnamese beans, their tastes are very different or diametrically opposite. This underscores the uniqueness of Vietnamese territory and makes your senses travel.